When you think about planning for retirement, you may feel like you’re doing alright, especially if you’re contributing part of your monthly paycheck to your employer-sponsored 401(k) plan. You may even have visions of growing old by the ocean or tapping into your bohemian side with some global travel. But to truly live the retired life you dream of, rather than scraping the bottom of your savings accounts, you need to be well prepared. While a 401(k) is a great start, there are other tools you can take advantage of to diversify and maximize your retirement savings. That’s where a Roth IRA comes in. This tax-friendly retirement account can not onfly bolster your retirement money, but can also help relieve your future tax burden. An IRA does come with a few rules attached to it, plus some eligibility requirements. When used wisely, however, it can really work to your advantage when it comes time to retire. We’ll take you step by step through everything you need to know to make sure you qualify and how to use a Roth IRA to its fullest. 1 What is a Roth IRA? 2 How does a Roth IRA work? 3 How much can you contribute to a Roth IRA? 4 What’s the difference between a traditional IRA and a Roth IRA? 8 How do you manage a Roth IRA? A Roth IRA is an individual retirement account to which you contribute after-tax dollars. That means you don’t get to take a deduction the year you contribute as you would with some other retirement accounts. Instead, you get to avoid paying taxes whenever you withdraw funds during your retirement. This can be extremely beneficial because the money you contribute should grow (ideally substantially) between when you put cash in and when you start to take it out. But since you paid taxes on it the first time around, you don’t have to do it again, even though the amount is larger. A Roth IRA comes with a lot of benefits, which is why it’s so popular these days. Even if you have a 401(k), it’s a great tax-advantaged addition to your retirement plan. And if you’re self-employed or don’t have a 401(k) at work, it’s a good start to investing for your retirement goals. As long as you meet certain income requirements (which we’ll talk about shortly), you can contribute up to $6,000 a year to your Roth IRA. That number jumps to $7,000 if you’re at least 50 years old, helping you catch up financially and get ready faster as you approach retirement. Plus, there are no minimum Roth IRA contribution limits when you turn 70 ½ so you can use your Roth IRA as a way to provide your family with an inheritance. Ready to retire early? A Roth IRA can help. You can start making tax-free and penalty-free withdrawals from your contribution amounts before you reach the traditional retirement age because you’ve already paid taxes. You do, however, have to pay taxes and potentially penalty fees on your earnings if you withdraw those early. You can take tax-free withdrawals on all of your money once you hit 59 ½ and have had the account open for at least five years. Plus, Roth IRAs aren’t just for retirement. You can also use your funds for qualified education expenses without having to pay penalties or taxes. So you can help pay for your own or your child’s college tuition just as you would with a 529 plan (or in addition to it). Although there are contribution limits, you get a lot of flexibility when you choose a Roth IRA. And when you have financial goals at any stage of life, flexibility is key. If you’re at all familiar with retirement terminology, you may have heard of an IRA before. But there are a few key differences between a Roth IRA and a traditional IRA. The biggest difference is when you pay your taxes. Unlike Roth IRAs, a traditional IRAs allows you to take a tax deduction the year you actually make a contribution. So if you’re trying to drop into a lower tax bracket or lower your overall tax payment, your traditional IRA contribution can help you do that. When you start to take withdrawals when you retire, you’ll have to pay taxes on the full amount — including your earnings. But that’s not necessarily a bad thing. If you’re established in your career and already earn a lot of money, you may expect your annual income to drop when you retire. You’re probably not going to withdraw your entire balance at once, so your tax rate might not be that high compared to where you are now. Speaking of making withdrawals from your account, you do have to start taking required minimum distributions once you hit the age 70 ½. The minimum amount is based on a formula from the IRS comparing your age to your life expectancy. If you want to take out funds from your traditional IRA before you reach the formal retirement age of 59 ½ you’ll have to pay a 10% penalty on top of your income tax. Still, like most investments, it’s good to have a diverse mix of products to help you now and in the future. You may want to consider having both a traditional IRA and a Roth IRA, particularly if you want to start lowering your annual federal tax burden. Unfortunately, there are restrictions on opening a Roth IRA, particularly for high-income earners. Depending on how much you make, you may be restricted on how much you can contribute or you may not be able to make any contributions at all. So where do cut offs start? Let’s look at single tax filers first. For single tax filers and heads of household, you’re allowed to make the maximum contribution if you earn no more than $118,000. You can contribute a reduced amount if you earn between $118,000 and $132,999. If you earn $133,000 or more, however, you can’t make any Roth IRA contributions. Now let’s take a look at those married filing jointly. You can make the maximum contribution if you earn up to $186,000 and a reduced amount if you earn between $186,000 and $195,999. Once your annual income reaches $196,000 or more, you’re not eligible to contribute anything. Your modified adjusted gross income (MAGI) is what is used to determine IRA eligibility. Depending on your anticipated income track over the course of your career, it may be worth opening a Roth IRA as soon as possible. That way you not only ensure you contribute as much as possible while you still meet the income requirements, you also give your investments as much time as possible to grow and compound before you’re ready to make withdrawals. And since you can use a Roth IRA for a greater range of purposes than other types of retirement accounts, you give yourself greater financial flexibility in the future. It isn’t just about setting up a contribution each year and forgetting about it until you retire. Instead, a Roth IRA can be an active part of your near-term and long-term financial plans, like going back to school or retiring early. Just about anywhere you conduct your financial business, whether it’s at a bank, credit union, online broker, or even a robo-advisor. Compare your options to make sure you’re getting low fees and good customer service. Also, check for mutual funds with no transaction fees and ETFs that are commission free. 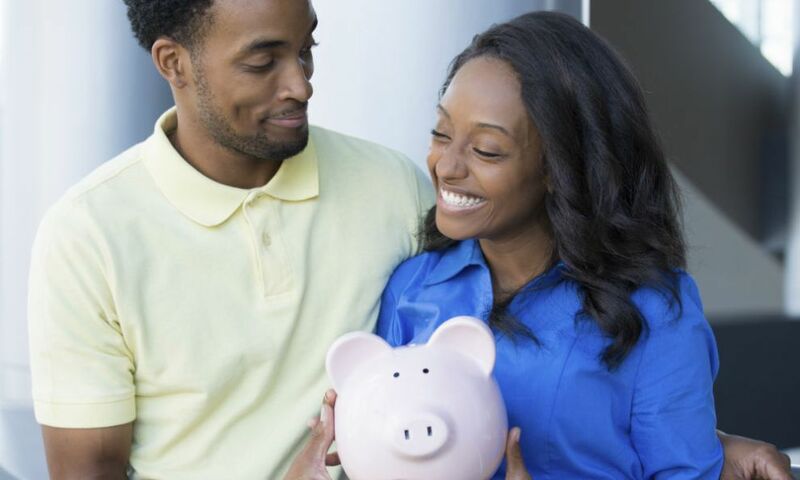 Some financial brokers still charge high prices on these fees, so it’s important to make sure that you’re choosing one who will save you money in the long run. After all, those fees can really start to add up over decades of managing your Roth IRA. Most brokers also allow you to rollover other accounts into your IRAs (both traditional and Roth). If this is a service you may need somewhere down the road, make sure your IRA broker is sophisticated enough to handle it. Some robo-advisors, for example, may not accept rollovers. And if you leave a job where you’ve had a 401(k), you’ll want to make sure you have somewhere to put it once you’re gone. With a bit of research and comparison, you can find a convenient, low-cost way to manage your Roth IRA over the years. To open up a Roth IRA, you need to select a brokerage firm. You may be able to do this at a financial institution you already work with, or you could explore other options. Both online and brick and mortar banks can serve as a broker. It really just depends on where you want to house your investment and what type of fee structure you prefer. Start off with a bank you already use, but don’t be afraid to compare their offerings and fees to other financial institutions. It’s important to maximize your earnings so that you can retire comfortably. How do you manage a Roth IRA? 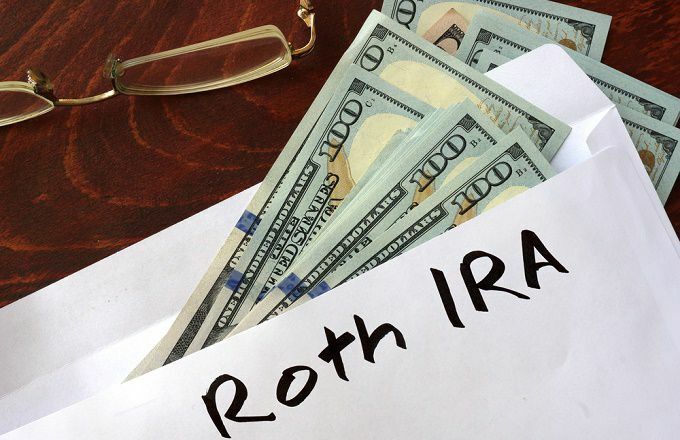 What exactly do you need to do once you’ve opened a Roth IRA? Obviously, you want to start off with making contributions. You can roll over fund from a traditional 401(k) or traditional IRA, but you’ll be required to pay taxes on that money so make sure you can handle that extra financial burden. Also, note that you can actually make a contribution up until the tax filing deadline the following year and still have it count for the previous year. For example, if you don’t contribute the full $6,000 to your Roth IRA before December 31, 2019, you actually have until April 18, 2020 (the day federal taxes are due) to make your 2019 contribution. Once you start funding your Roth IRA, it’s time to decide how you want to invest that money, just as you would with any other investment. The type of risk and diversity you select should be based on your own risk tolerance as well as your age. If you’re in your 20s, you can pick much more aggressive investments than if you’re in your 50s. For a low-cost approach, experts recommend either index funds or ETFs, which allow you to buy stocks and bonds that track broader markets. A Roth IRA can be an effective part of your retirement strategy, particularly considering all of the tax advantages that come along with it. For the most effective retirement savings plan, look at all of the options available to you, then see how each piece fits in the puzzle. As you inch closer and closer to retirement, continually reevaluate how you invest your savings. If, for example, you’re expecting a raise or promotion in the next couple of years that will bump you out of the income range for contributing to a Roth IRA, it may be wise to max out your contributions while you can. If you get a job with an employer that matches your 401(K) contributions, make sure you’re taking full advantage of that perk. Constant reevaluation is necessary to make sure you’re benefitting from your retirement tools as much as possible. And you want to make sure that you’re taking care of your finances right now and in the future. A Roth IRA truly is a favorite because no matter where you are in life today, you can provide yourself with a lot of room to maneuver around whatever comes in life.